I hope your week is going well. My week feels like it has been a full week already and it's only Wednesday! I am still going to crossfit about three times a week. I love it! I'm pretty much sore every day but I am ok with it. 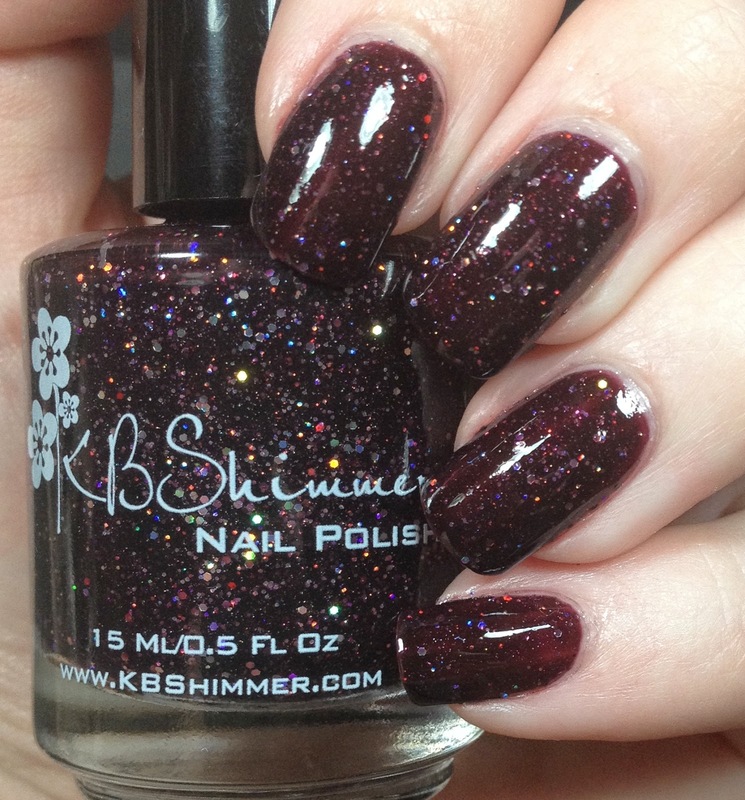 Today's post features FIVE of the new KBShimmer polishes for the fall. There are ten polishes total in the collection. Nine of them are new, and she is rereleasing Jack. They will be available September 15th, so save the date. We all know I love KBShimmer polishes. Even if they weren't sent to me I would be buying them. I recently purchased the anniversary trio and the top coat and base coat myself. I am going to need fiscal restraint once the holiday time comes around because her holiday polishes are always awesome as well. 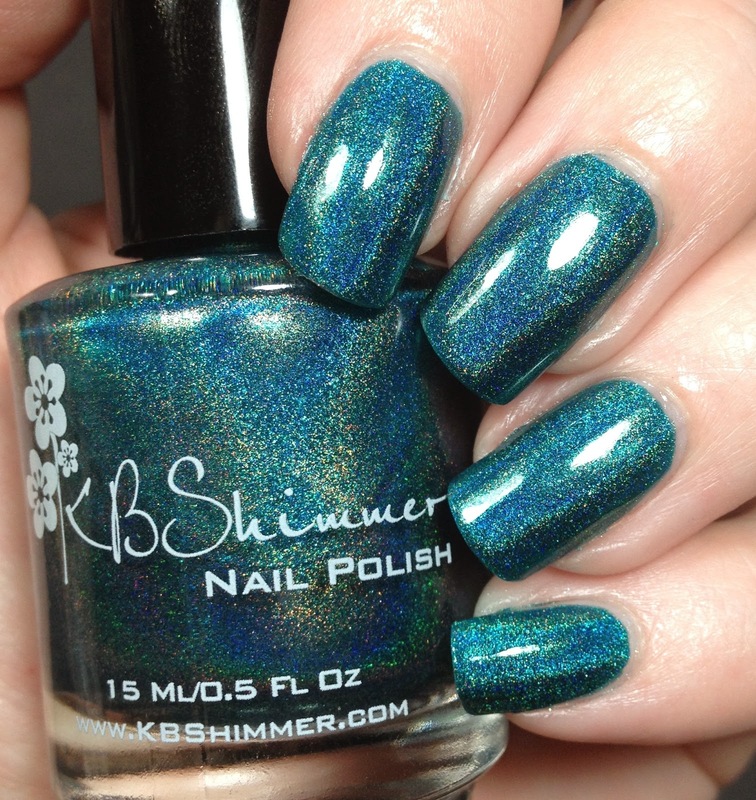 Every single KBShimmer I have come across has had an outstanding formula and amazing wear time. If you were thinking about buying some but weren't sure, then just do it. They are totally worth it. The prices can't be beat either! 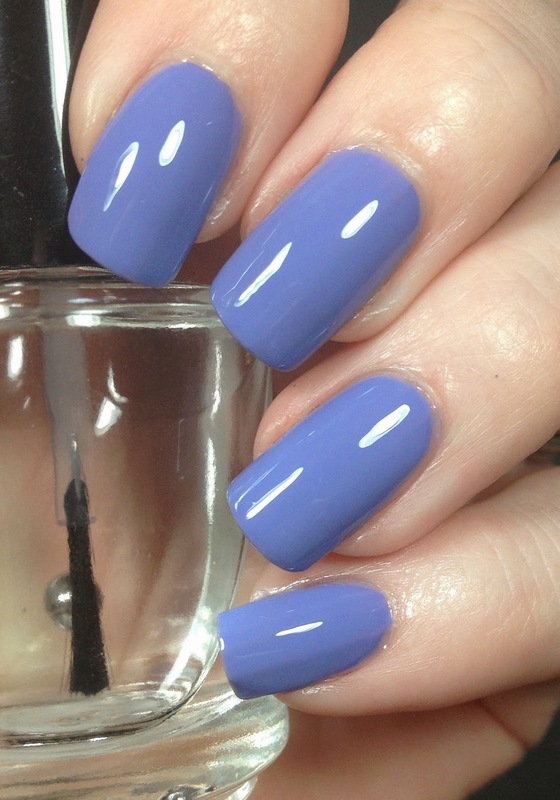 The cream polishes are only $7.50 and everything else is $8.75! This time I selected a good mix from the collection. I have a holo, a cream, a jelly glitter, a cream glitter and a glitter topper! There is something here for everyone! I have used a base coat of KBShimmer Basic Training and the top coat is Clearly On Top, also from KBShimmer (unless otherwise noted). 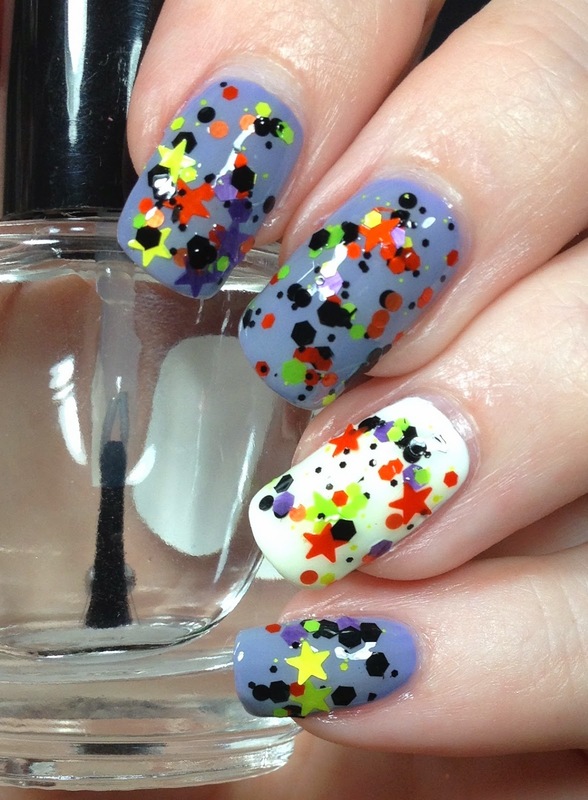 I am going to use the descriptions provided by KBShimmer for these as well. So I am going to be different and put my favorite first. This is Up & Cunning! 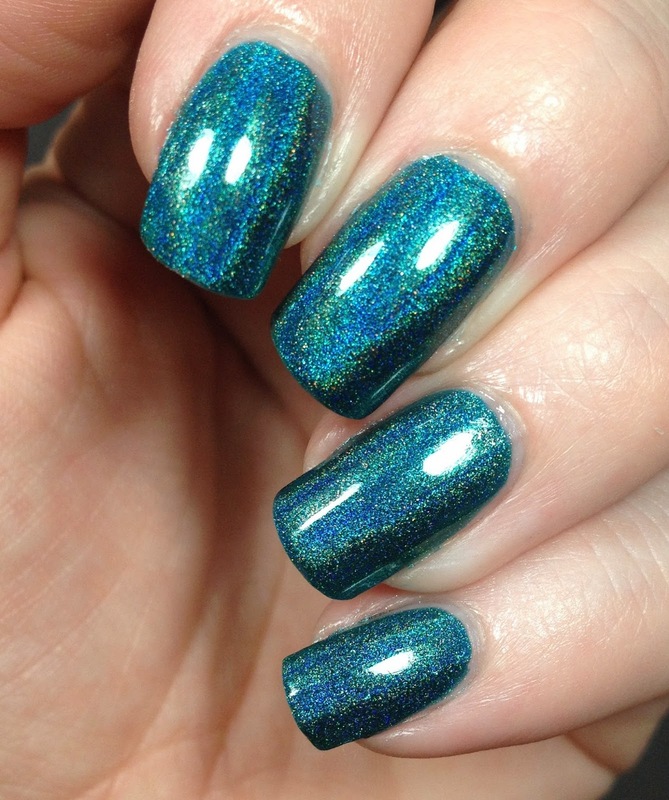 KBShimmer lists this as a deep teal, almost forest green in color. It's a beautiful holographic polish and I used three coats for the photos below. In this case I topped it with Glossy Glam from Rica. 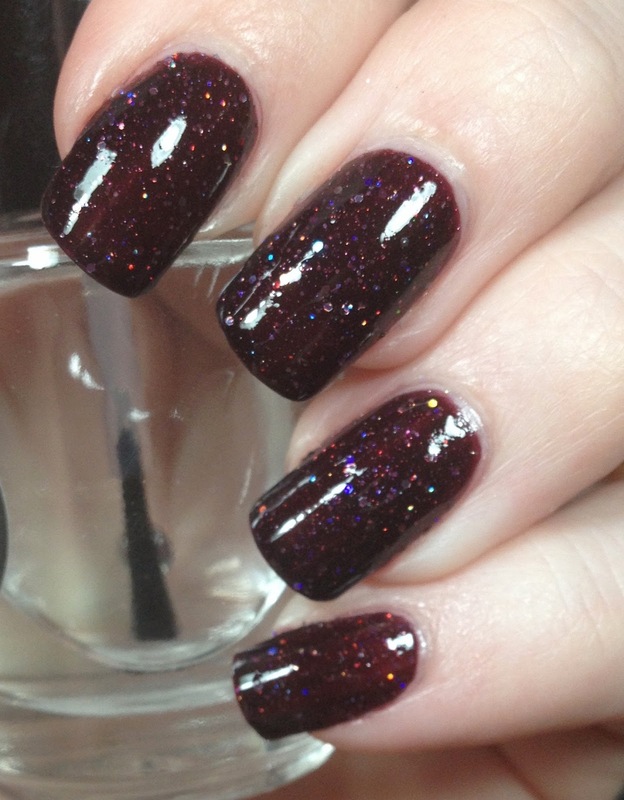 This is A Raisin To Live, a deep burgundy, blackened oxblood full of holographic sparkles. 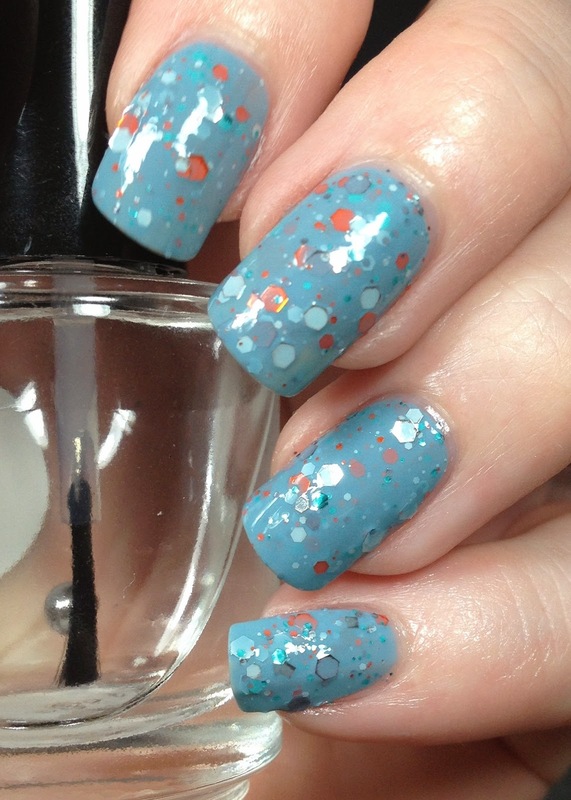 The sparkles really make this polish pop. I can't wait to rock this all fall long. I used two coats for this. PURPLE!!!! You know I couldn't pass a purple up. When I saw this I had to have it! This is Hugs & Wishes (how cute are these names!). 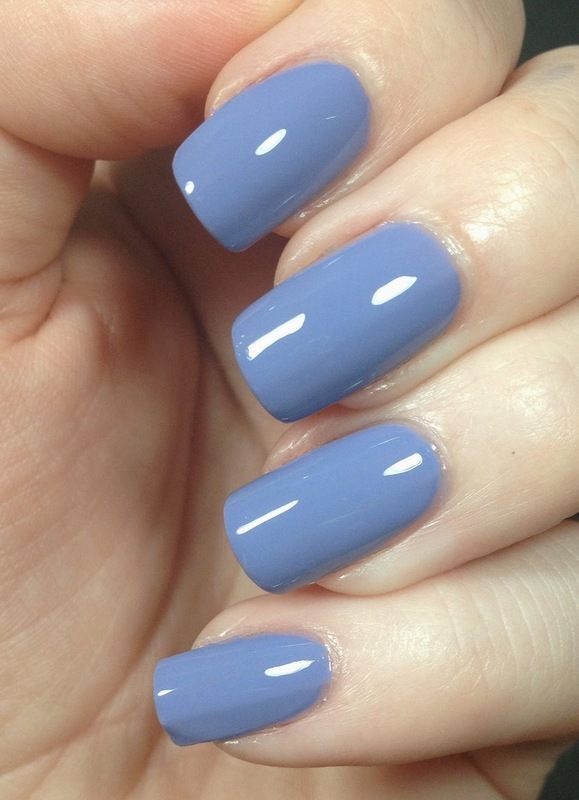 KBShimmer says this is a blue leaning pastel lavender cream. Which I think is spot on. I used two coats here as well. 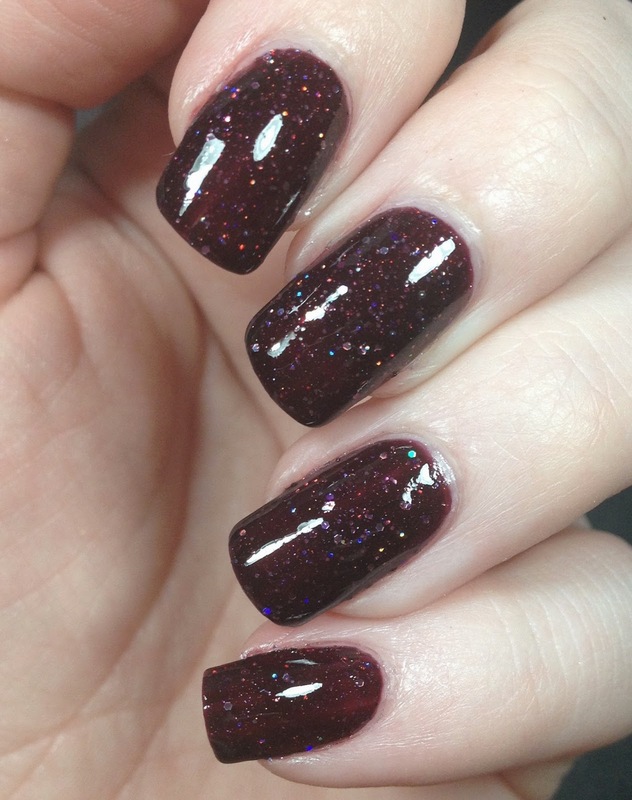 I love glitter polishes as well, I always have. For a while it was the more glitter the better. I have toned down my style lately and this is a perfect match for it right now. 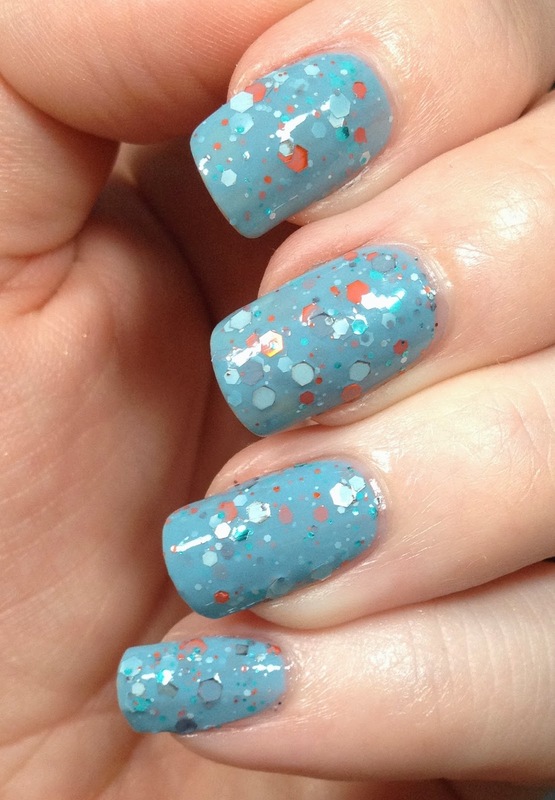 This is Flannel Surfing, which is a faded blue with gray undertones with pop of orange, aqua and teal glitters. 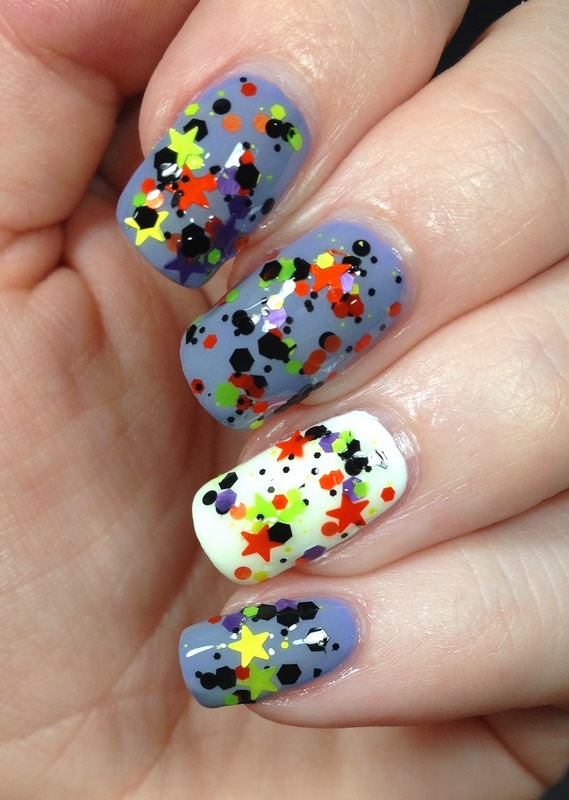 This was only two coats! 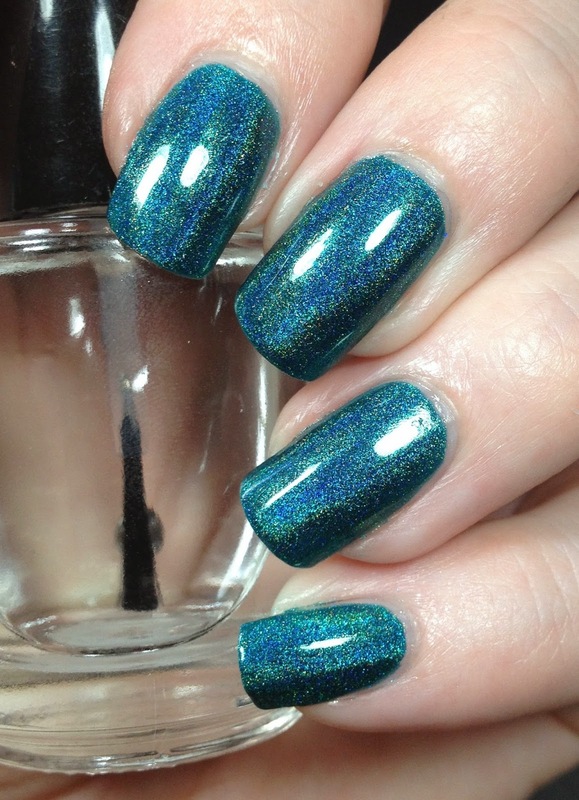 My last polish is Kiss & Spell, which is a great match with Hugs & Wishes which you can see under it in the pictures. The accent nail is Sally Hansen White On. I had no issues with application despite it being a glitter topper. Plenty of glitter came out each time. I have two coats here in the pictures. The description is Purple, Orange, Yellow and neon green stars swim among black and orange circles and hexes, and hexes in purple, neon green and yellow. 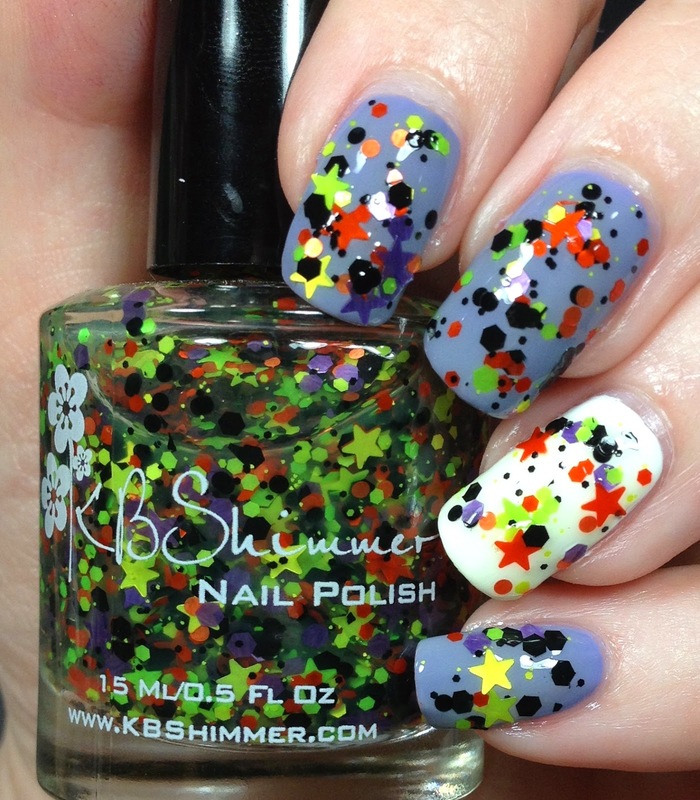 There are my selections from the 2014 KBShimmer fall collection. These are going to be available starting September 15th. Make sure you mark your calendars to make sure you get yours! These are so nice! Love the holo and creme! These are gorgeous! Flannel Surfing is one of my favorites from this collection. I just love the unique colors in it. I know! It's so unique! Truly hard to pick a favorite, as they're all so uniquely gorgeous, yet A Raisin To Live has my name all over it!